Right. I promised we’d get back to beauty, after my worrying spell of brain freeze, and so please let me introduce you to the little pot of balm that re-ignited my passion for product testing. 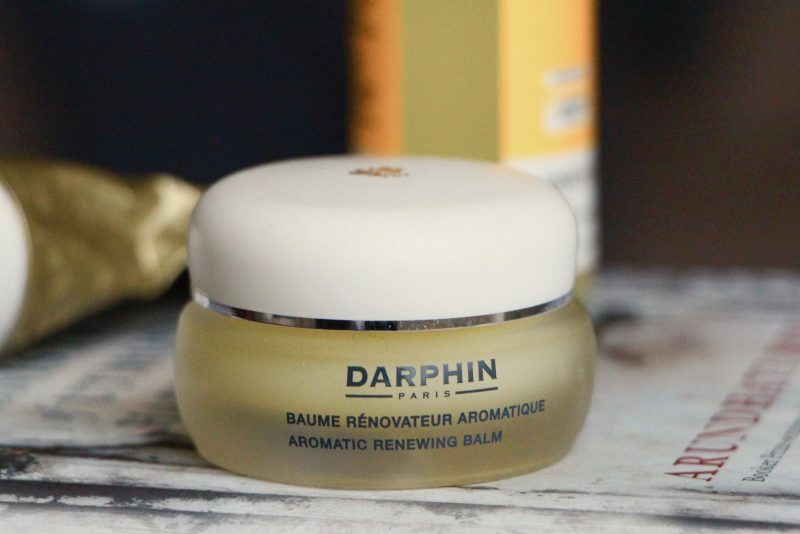 Darphin’s Aromatic Renewing Balm* almost escaped my notice due to its diminutive size (it was one of the products in their amazing Black Friday deal last year) but thankfully I plonked it onto the testing shelf rather than into my miniatures collection. I had no idea what it did or when I should use it, but a swift Google session whilst on the loo (come on, we all do it) revealed that it was, in fact, a potent face treat promising to soothe, nourish and strengthen the skin. On that particular week, my face was pretty done in – weather-beaten, slightly spotty from a cheese-board marathon and more than a little irritated from the frantic exfoliant testing I had been doing in the vain attempt to generate some notes for a feature on peels. (It’s coming.) A balm that dangled the dream scenario of radiant, comforted skin could not be resisted. And so I unscrewed the little lid from the cute glass jar and delved straight in. Now listen. 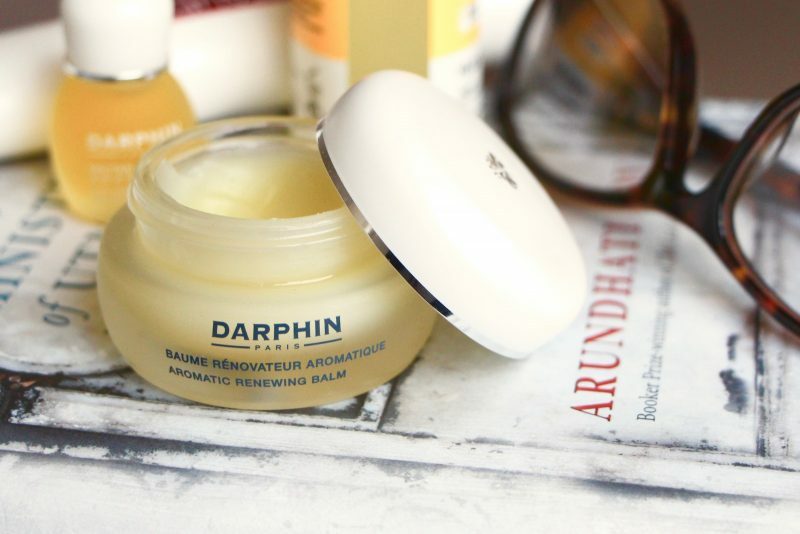 It’s no secret that I’m a heavy user of Darphin’s Aromatic Cleansing Balm; you can read the full review here but suffice to say, for fear of repeating myself, that it’s just the silkiest, most luxurious cleansing balm I can think of. It’s more of a treat balm than your more “functional” cleanser – I wouldn’t be wasting it on makeup removal – but lying in the bath, massaging this over your skin is just a first class experience. The smell is other-worldly. Mind-transporting. And I’d often thought to myself, whilst sliding the melted balm across my face, if only they made one of these as a moisturiser so that I didn’t have to wipe it off. Step forward Aromatic Renewing Balm, with its thick, dense texture and glorious blend of essential oils. You may be familiar with the elixirs from Darphin – gorgeous, dinky glass bottles of facial oil, each with specific benefits to target various skin concerns and complaints; the balm is a richer skin treat with a longer-lasting moisturising effect. The beeswax in the formula creates more of a barrier on the skin, which is exactly what I was looking for – something that would sit there and feel as though it was doing something useful. And yes, I woke up with skin that looked a million times better – tautness gone from my forehead, weird patchy spots gone from around my chin and jawline, everything looking just that bit plumper and fresher all over. So much so that I used the Renewing Balm the following night, the one after that and the one over that and, considering I was in a dicey hormonal week, no breakouts whatsoever. Look, it’s a real treat this balm – you only get 15ml of it in the little pot and I’m almost through, thanks to my obsessive usage – but if you’re searching for something a bit special and love the aromatic side of beauty, the whole sensorial experience of massaging in a truly delectable product, stick this on your list. 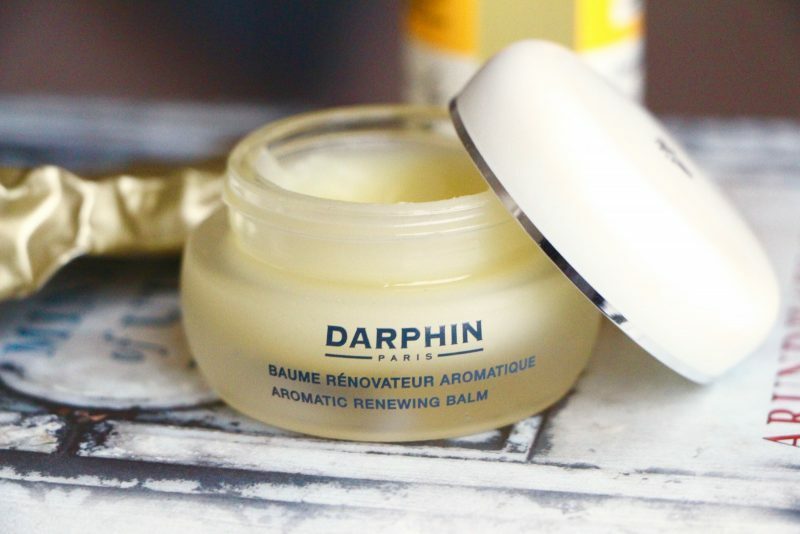 You can find Darphin’s Aromatic Renewing Balm at Escentual.com here* and on their website here*. It’s £48. If you like the idea of a properly aromatic treat but would prefer a cream texture, their 8-Flower Nectar Oil Cream is buttery and rich without excess residue.